We&apos;ll be back in May for round three on the beautiful island of Madeira to do it all over again and to see if Maes and Courdurier can continue their winning streak. Keep an eye on our site and social media for full results, videos and more from this weekend. G&apos;day! 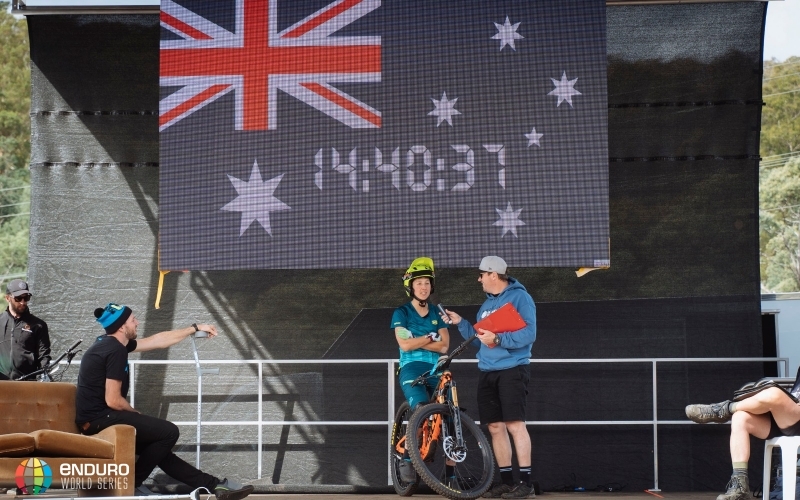 Everyone was excited to come back to Derby to race and it&apos;s easy to see why - amazing trails, great organisation and probably the best crowds on earth anywhere! Thanks you to all the riders, teams, media, organisers and most of all the fans! So there we have it - Maes wins the first two races of the year and leads the series! Maes wins the race! He finishes 4th on stage 6 and finishes with a 17 second lead! But.. Martin wins the race! Coming into stage 6 it was man of the moment Martin Maes leading the race, with Florian Nicolai in 2nd and Connor Fearon in 3rd. Can anything stop Maes from taking the win here now? Isa actually had a slow puncture on stage 6 and still wins the race by 22 seconds, what a legend! So for the second time, Isabeau wins in Tasmania. She finishes 22 seconds up on Jill Kintner who podiums at her first EWS race and local hero Rowena Fry takes third! Isabeau does it! She wins round 2! But Isabeau wins the race! Coming into this stage Jill was sitting in 2nd place and Isabeau had a 24 second lead over her - this is the final stage of the day and there&apos;s still women on course. But what we want to know is if Kintner is ging to end up on the podium at first ever EWS race! Maes goes 6th on stage 5! Melamed wins the stage! Takes stage lead - can Martin do better though? With just one stage left in this race Isabeau has extended her lead over Jill to an impressive 24 seconds! Isabeau wins stage 5!! Noga 2nd and Kintner 3rd! Noga Korem is leading stage 5! And here&apos;s Martin giving everyone a masterclass on stages 2 and 3 this morning! Kevin Miquel wins stage 4! Maes 2nd!!! It&apos;s Specialized&apos;s latest signing Maxime Chapuis from Switzerland who is the current leader on stage 4! Fry wins stage 4! Beats Isabeau by just one 1 second! Martin does it! Wins another stage! And Eddie Masters is in 2nd! Sam Hill is now leading stage 3! So after 3 stages, Isabeau has extended her lead in the overall to a healthy 10 seconds! Morgane Charre moves back up to second and just 1 second behind her is Jill Kintner in 3rd! ALN is now leading stage 3! She&apos;s nearly half a second up on Fry! The women are on stage 3 now and it&apos;s Rowena Fry who beats Kintner this time around! But only by 0.6 of a sec - will Isabeau be able to maintain that 5 second lead over Kintner she had coming into this stage? We&apos;ll know very soon! And goes into the lead! He&apos;s just over 1 second up but with lots of fast guys still to come - can that position hold? After 3 stages it&apos;s Antoine Vidal of Commencal who is leading the U21 men! But less than 2 secs back is NZ&apos;s Brady Stone and Roly Kyme is 3 secs back in 3rd. Just two stages left for them in this race! Martin looks like he could be running away with this race too, just like Rotorua. Of the seven stages raced so far this season he has won them all! Wright goes into the lead - just Martin left to come! Jesse goes into 2nd but is only half a second off Connor&apos;s leading time! and goes 2nd, Hill back to 3rd! All eyes up the hill now to see what Martin can do - can he beat fearon&apos;s time?! goes into 2nd! Greg&apos;s Cube team mate has a blinder of a run! Greg says the crowds are the loudest he&apos;s ever experienced - and coming from the man who at home in ireland two years in a row, that really is saying something! Josh goes into second on stage 2! The big Aussie will be frothing! Trek rider Pedro into 4th! Theo comes through stage 2 into 3rd - great time from him! So now here come the top 30 men on stage 2 - Connor Fearon currently leads with a six second advantage over Joe Nation - can race leader Martin Maes put paid to that? Crazy! 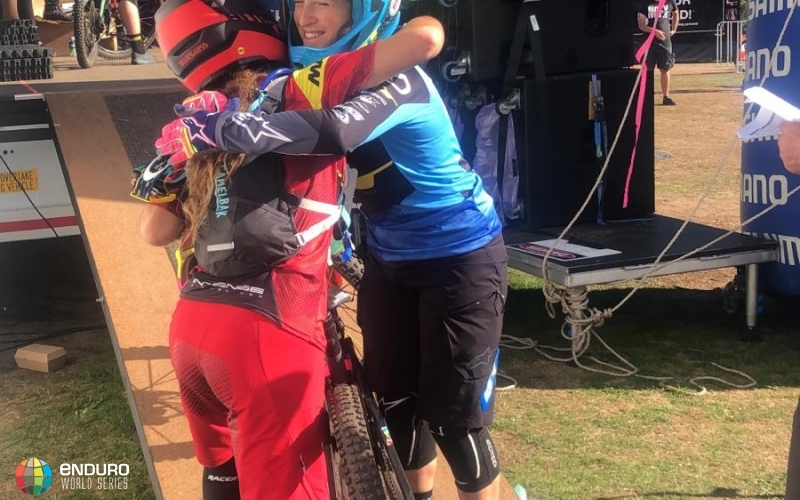 Stage 2 was Kintner&apos;s second ever EWS race stage and she just won it by 3 seconds ahead of race and series leader isabeau. That is ome achievement, and it bumps Jill up into 2nd in the overall as well. This race just got FUN! She absolutely will! Jill wins stage 2! Isabeau 2nd and Morgane Charre 3rd! She goes into 2nd! 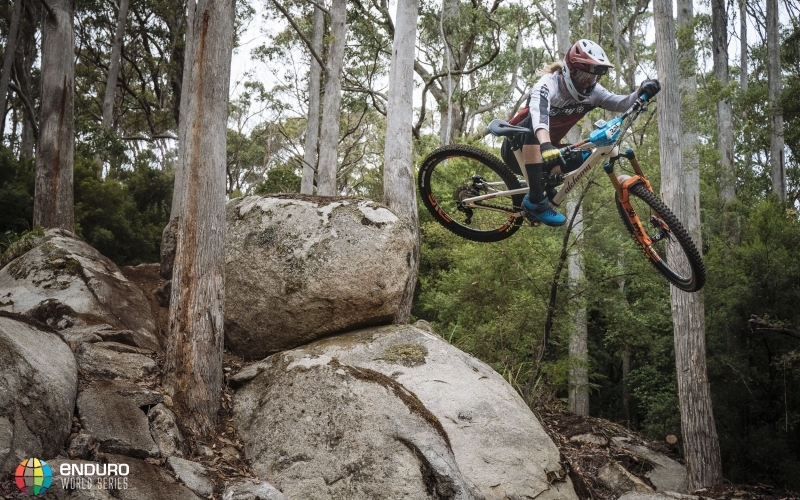 Will Kitner win her second ever EWS race stage?! That time from his is very significant for the overall - he started day 2 in 2nd place behind Martin Maes. He lagged Maes by just 6 seconds after stage 1, so the overall is still very much within his sights right now. However, the top 30 ranked men are still to come down. And to draw out that tension for a little longer the women will be starting stage 2 any minute - and then the top 30 men will drop and we can see how Fearon&apos;s time stacks up. It&apos;s getting exciting! and goes 6 seconds faster! he now leads stage 2! Marco goes into 3rd on stage 2! Dan Wolfe saying that the toughest thing about stage 2 is how intense the top section is, right from the start. And of you&apos;re feeling brave, take a ride down stage 2 - aka detonate - here! Atkinson&apos;s time is looking good on stage 2 so far, but there&apos;s plenty of men left on course. We hear Detonate is getting pretty rowdy - it&apos;s dry here today and the tracks are going to be loose! Karim Amour has lost the lead! The Master Men are through stage 2 - and Karim Amour started the race in the lead but after stage 2 he&apos;s been pushed into 2nd by Lionel Sequera of France! But Amour is only half a second back and there&apos;s four stages to go. This is going to be good! He finished stage 1 in 7th place and is now leading stage 2. Is this local Tasi legend on for a top 10 finish? It&apos;s looking good! Ok, this race is go! The first men are dropping into stage 2 now, and it&apos;s currently local trail builder Rhys Atkinson who leads! 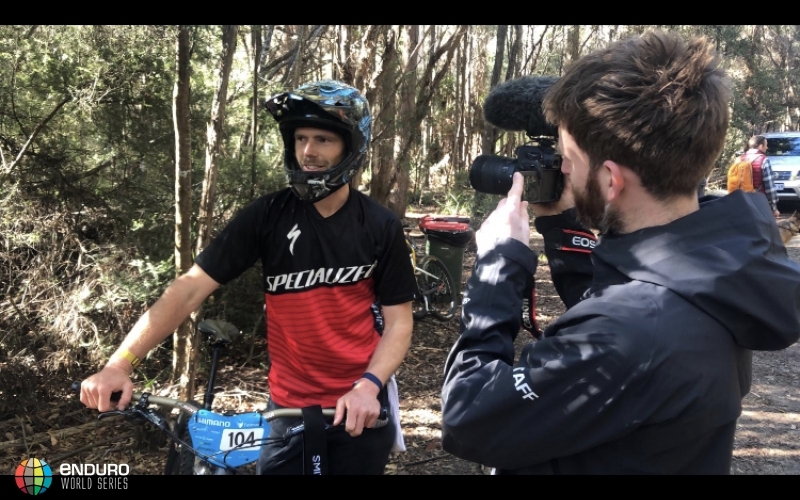 Detonate was the first ever recipient of the Specialized Trail of the Year Award in 2017 - an award voted for by the riders, team managers and media that attend every round. In the meantime, here&apos;s what to expect from tomorrow&apos;s stages. See you then! The results are still provisional at this stage and with 5 stages left this race is still very, very far from over! he wins stage 1 by 6 seconds!! comes through in 7th - another rider having a very strong start to their season! Where&apos;s Maes? Has he got an answer for Connor Fearon?! and goes into 5th with more riders still to come! Isabeau Courdurier is on fire! Isabeau wins the stage! Charre 2nd and Rowena Fry 3rd! 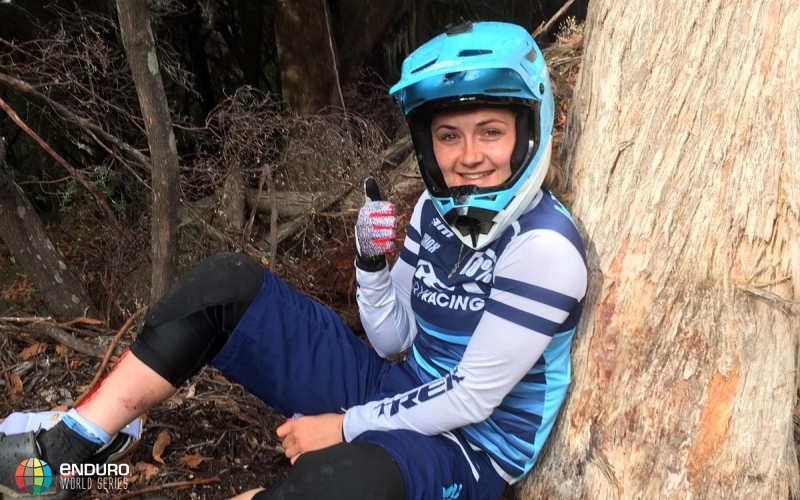 The stage is nearly finished, only a few women left on course and Tasi local Rowena is looking good - she&apos;s the Asia Pacific enduro champ and it shows! Fry is scalping some big names here - her time is still holding - and ALN has just come in less than a second behind her! ...but goes slower than Tasi local Rowena Fry by just 1 second! Jill is in 2nd, Leonie Picton in 3rd. What can the top 10 women do to unseat Rowena - we&apos;ll find out very soon! and goes into the lead! The top 30 men are still to come, but he&apos;s the only man so far who&apos;s been faster than local trail builder Rhys Atkinson! There&apos;s some big crowds out there now on 1showing the riders plenty of love - they are noisy as! That&apos;s the men out with the top 30 on stage 1 now and it&apos;s local trail builder Rhys Atkinson who currently leads! Antoine Vidal wins stage 1! Tasi crowds may just be the best crowds - they have turned out in their thousands for this race. 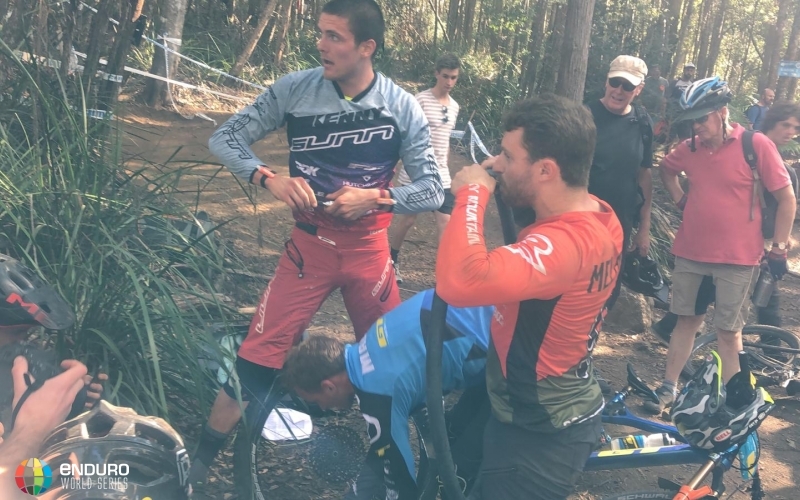 And in true Tasi style organisers EMS Enduro have provided heckler spots complete with djs, bars and food. There is going to be a lot of (very) loud support for the riders out there today! That&apos;s the first couple of Master Men on stage 1 now - is it going to be Karim Amour&apos;s day? Again?! At this race it&apos;s stage 1 that offers those extra points - and luckily for us we&apos;ll be seeing the pros ride it very soon. We are in for a very exciting day at the races! 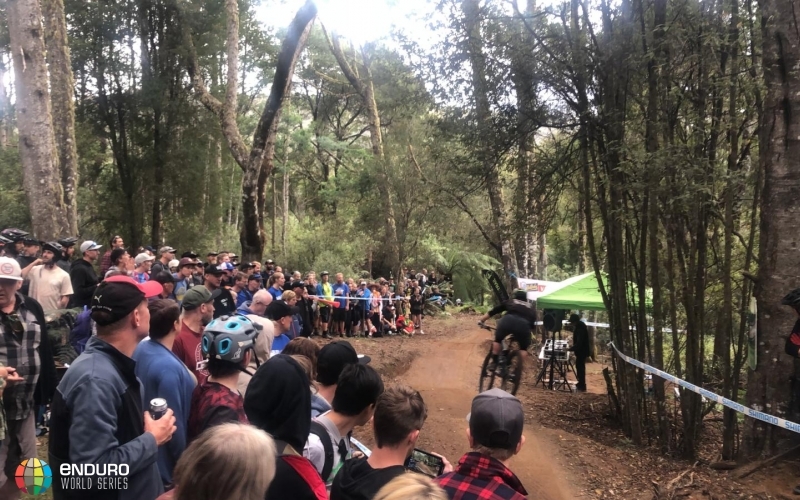 Click on the live timing tabs above to see the results streaming in from the EWS80 happening right now. Remember, that&apos;s 80% of the full EWS course and the riders have been given 6 hours to complete it. We&apos;re in the beautiful Derby, Tasmania for round 2 and racing kicks off on Saturday. Come back then for all the action from stage 1, but in the meantime, here&apos;s what the riders are up against! 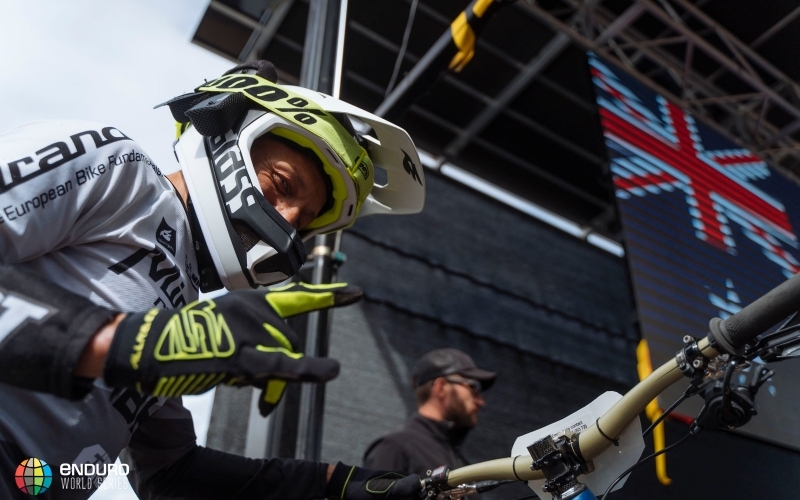 Hi there and welcome to the EWS live race feed. You're not logged in so you can't see favorite riders or teams.